When precision printing matters, look to The Pro Series. 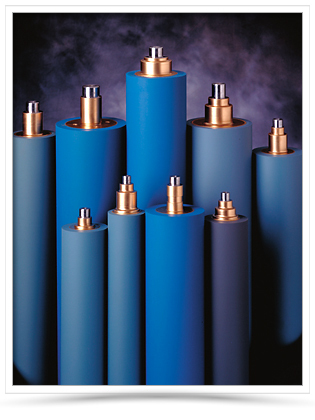 We at Pacesetter know that different applications require special compounds. The Pro Series compound is designed to transfer ink efficiently to the plate for precision printing. We know the importance of providing difference durometers to accommodate the function of a roller. Pacesetter puts as much consideration into our cores as we do our Award Winning Compounds. By paring the Pro Series compound with the ability to provide position specific durometers all on a brand new guaranteed true to center core, Pacesetter supplies you long lasting precision rollers that are "Ready to Run!"